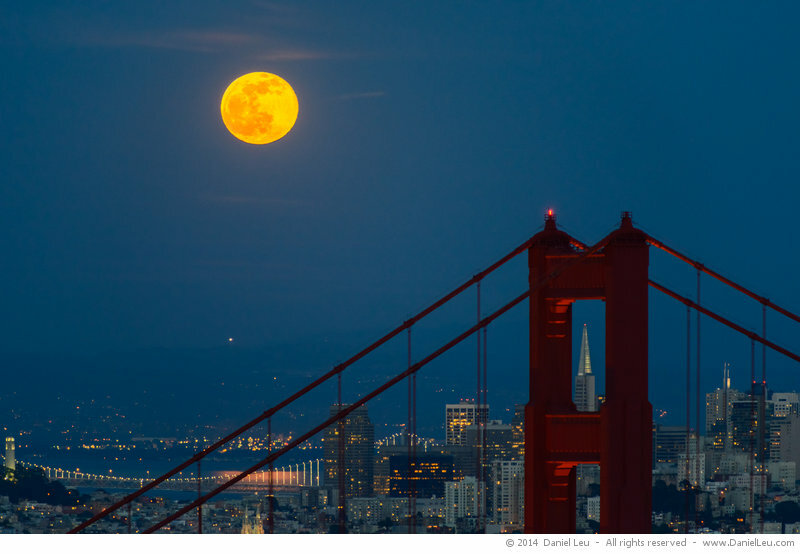 Tonight was full moon and I went to the Marina headlands to capture it rising over the Golden Gate Bridge with San Francisco in the background. And I have to admit that I am really happy with the results! I went to two different spots that were a few hundred feet apart. 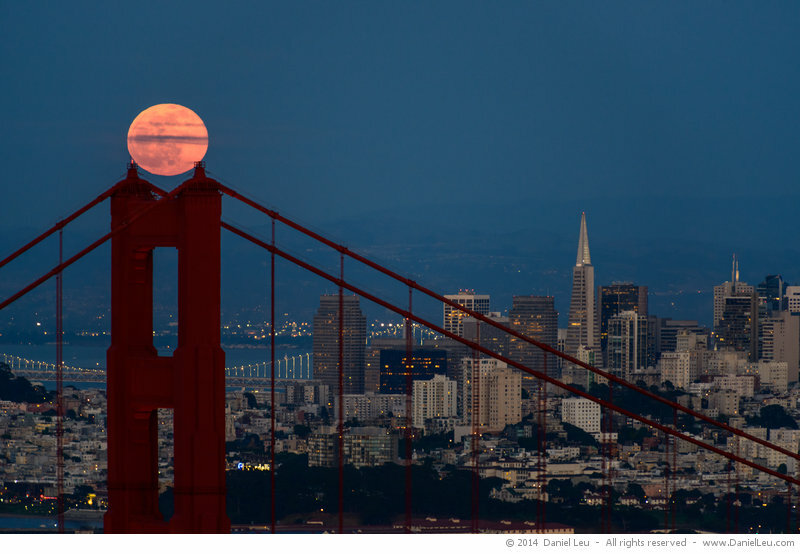 At the first location, I caught the moon taking a break on top of the north tower of the Golden Gate Bridge. Happy with this shot I moved to the second location that is very famous for having the north tower of the Golden Gate Bridge framing the top of the Transamerica building. It was very crowded over there having more than 10 people next to each other and everyone trying to get ‘the shot’. Arriving late, I was lucky to find a niche for my tripod. This next shot was more tricky since I had other photographers in front of me limiting my field of view. I tried several times to get a wider shot but I always had someone else in the frame. Eventually luck was with me and I got a clean view. I love the texture on the Golden Gate Bridge tower that adds a lot of depth to this image. I love the view from up here with San Francisco and the Golden Gate Bridge. 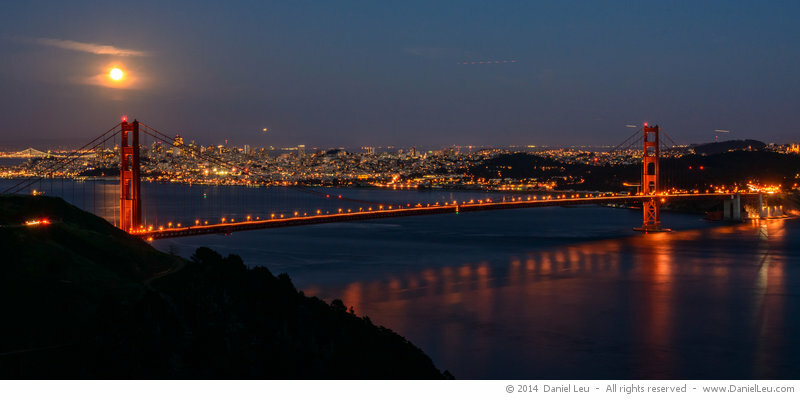 After all these closeup shots of the bridge and the moon, I went wider and captured the entire bridge. 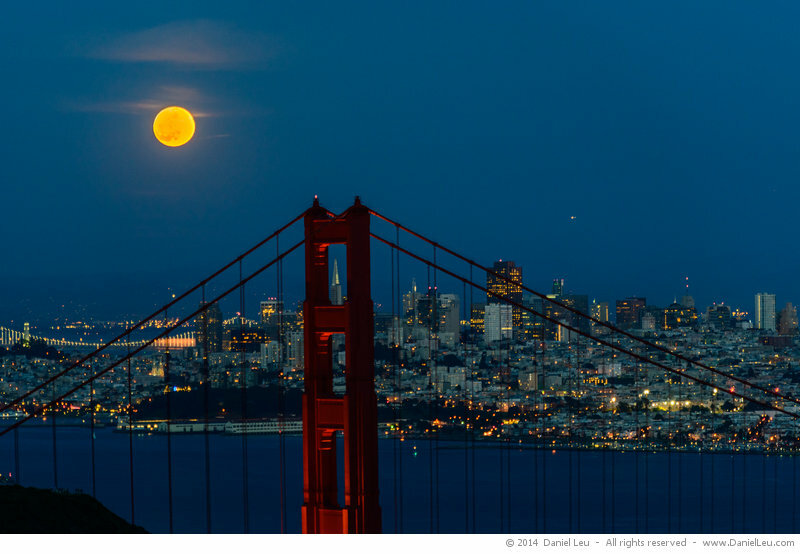 More images of the Golden Gate Bridge and San Francisco can be found on my site.